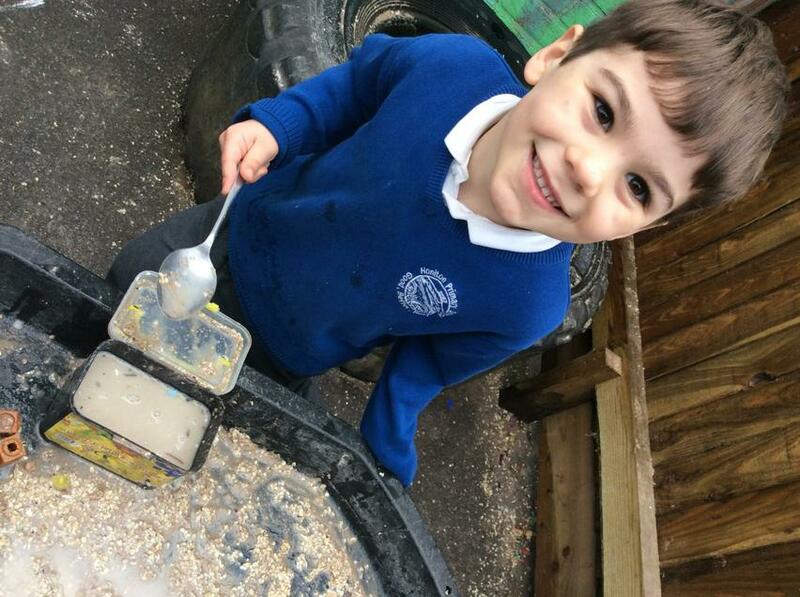 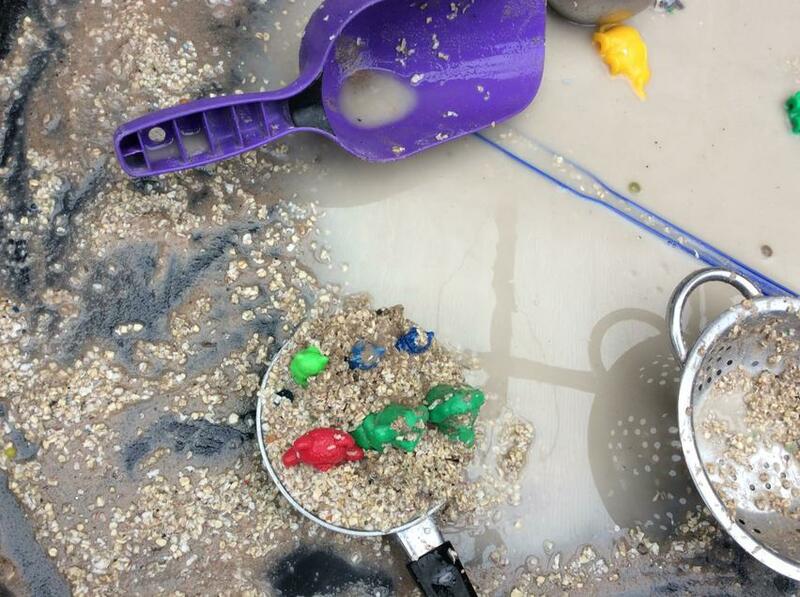 We love learning outside because it provides us with an environment that allows us to get messy! 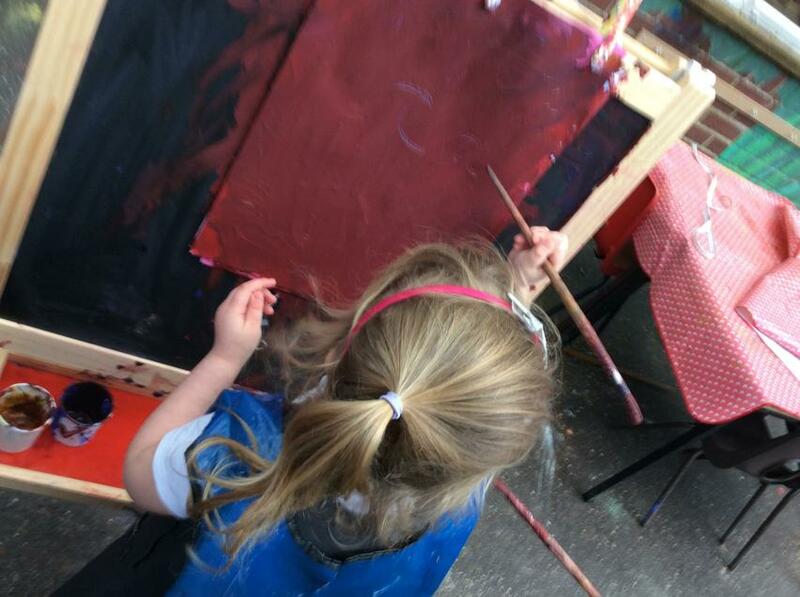 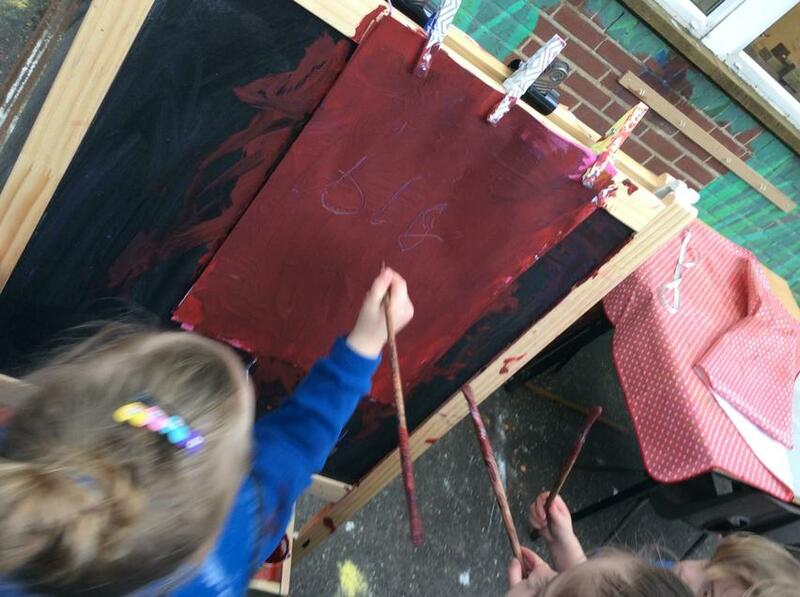 Today we discovered that you can use the end of a paint brush to write words in paint. 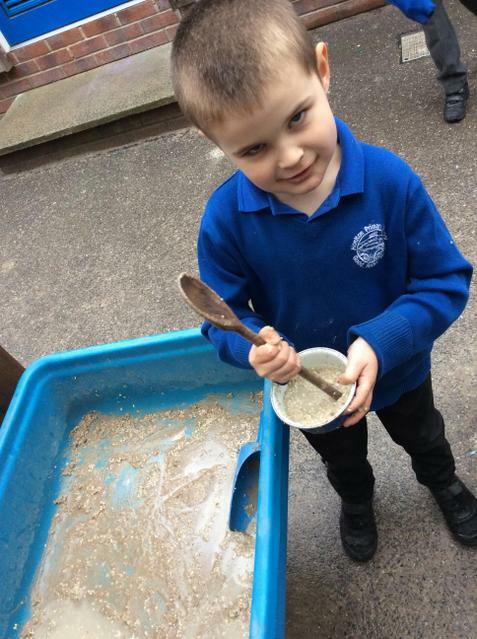 We also explored counting, adding and doubling in the porridge kitchen. 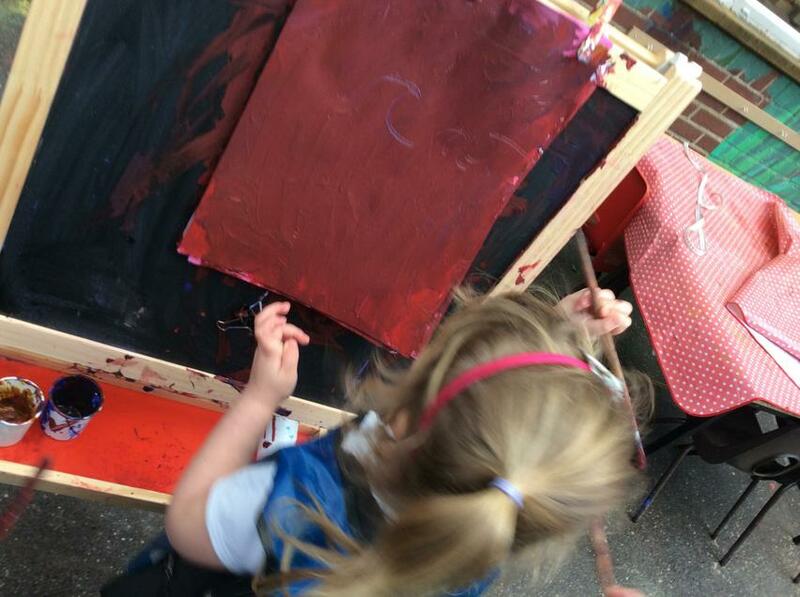 Never let anyone ever tell you that you can only learn with paper and pen!